The paparazzi went clickety-click as Sonali made her way to the car and she obliged with a heartwarming smile and gratitude. 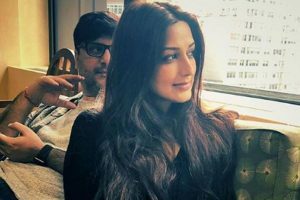 Actress Sonali Bendre Behl will return to Mumbai -- where her heart is -- for a "happy interval". 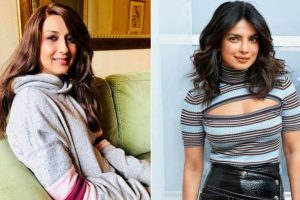 Bollywood actress Sonali Bendre, who is undergoing treatment for cancer, has come forth as a source of inspiration for many. 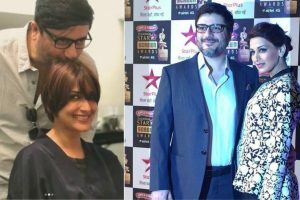 Behl, husband of Bollywood actor Sonali Bendre, asked the users to not spread or believe in rumours. Sonali shared her new look and thanked actor Priyanka Chopra for introducing her to a stylist who gave her the makeover. 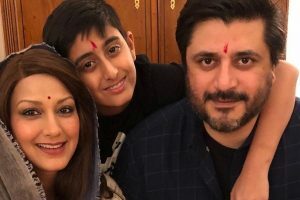 Bollywood actress Sonali Bendre sent out heartwarming wishes to his son Ranveer on his 13th birthday. 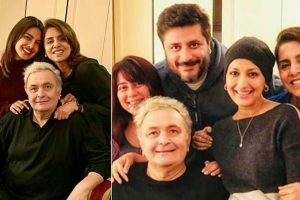 Continue reading "Goldie Behl on Sonali’s health: She is stable, no complications in treatment"
Continue reading "Sonali Bendre posts heartfelt message for son Ranveer | Check post"